It would probably take the dealer 10 minutes to hook up the Tiger and tell the computer what size wheels are on there, then charge you $100 for this. However if the Tiger needs a software update for other reasons anyway, this may be the best time. This ride up Santiago is a very short ride close to home so it’s a perfect venue to test new gear. It’s also good practice. The REAL adventure is out there in the desert. Want to see AND climb an ancient Volcano off of Route 66? 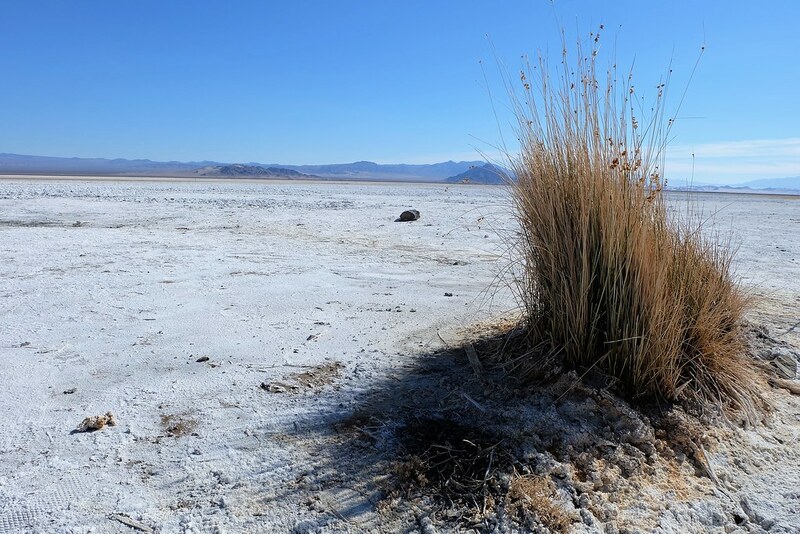 Ride around a dry lak bed? I know just the place! This requires us to ride up and over the Cajon Pass though. I'll show you how to break the bead on tube tires while out on the road next time we ride. 2 main methods, 1) is either standing on the tires and using body weight, 2) other using the bike side-stand. Some tires are easier than others, but it's not a fun process. Best to practice at home. I also run Ultra Heavy Duty tubes, very durable, but can be a PIA to install due to the wall-thickness....even at home. I carry 1 standard duty tire (21" only....can be used in 18" rear if need be) in my backpack. along with a couple 10" irons. I also pre-powder the tube with baby powder so it is easier to move around within the tire. I won't be able to ride for a little bit, but maybe in late-March. Thanks dude. I'm shopping for the tire irons, and also plan to replace my inner tubes with heavy duty ones. I looked into the Tubliss system but it is expensive and requires drilling a second hole in one's rim. I really want to head out to the Mojave on my DR650 before summer. Breakdirt cutting his teeth in Cali a few years back, Now a seasoned rider/ surfer/Ladies man.... ATTA BOOOOOY!!! Hahaha...thanks Todd - I started I'm your garage with some pants and goggles from team Motocutz! Lots of laughs man GOOD TIMES for sure lets set something up soon!! By late March there will be 7pm sunsets...so from March <-> Sept I will be riding 5-7 or 5-8pm every other weekend for sure! BD, there's a storm hitting us, which is forecasted for Friday and Saturday. So not sure how the roads will be during the hours you're available. However, I'm game to ride with you on Sat after 5 PM. Where do you go in the desert? I've been exploring the Mojave lately (in the truck though). Even then I only have a few ideas where to ride out there, wherein there are trails and such. How about California City? I've always wanted to go ride there ever since I saw the MotoGeo video. Post about the area near Calico posted awhile ago looked cool, at least I remember it that way. You may be surprised what you can trade for that sweet VMAX. Or what you can get for it. The traditional DS bikes from Japan, DR650, DRZ400, KLR650, XR650L, have been around a LONG time with minimal changes. And they sell for around $6k new, which means used examples, even lightly used examples are very inexpensive. Wasn't too long ago the Cycle Guy was selling his '06 KLR650 with under 15k miles for a mere $2.7k. If I knew then what I know now, I would have gone for a used DR650 and just used a bit of cash to fix it up a bit (or fix it up a lot). These bikes are quite robust and extremely simple. As long as the previous owner changed fluids regularly, and didn't beat the bike to death, used examples are a REALLY good buy. There's a dude on You Tube from the Bay Area who bought a REALLY beat up DR650, fixed/replaced all wear items, and now he's riding all over the desert with it. Even did the LA to Barstow to Vegas and finished! LOL! Or find a friend who will be gone for 6 months and take his ADV bike! I was just there! But in the truck. Trona Pinnacles near Ransburg. DS playground. There is a whole other world of riding out there and I've barely scratched the surface. Bike: 07 v-rod (VRSCDX), 05 R1, 05 Road King, 2009 WR250X, 09 R1200GSA. Lytle Creek, Baldy Mesa, Cleghorn has plenty DS riding. Cal City has all kinds of terrain with beginner to expert trails, Galileo hill country club offers suites and pool access or camp in the desert that's what we do, Randsburg mining town is about a ten mile ride from Cal City with a fire road route for the moms n kids but up in the hills theres a nice snotty nasty ride for the boys to take. I grew up riding CC and so did my kids, taught them both to drive my dually at 6 n 7 yrs old on all the derilect roads. Get out there n ride! I heard about the Galileo resort. Whats availability like there? Especially in prime desert riding season. It would make for a nice "base camp" site and ride from there. There’s also a Best Western around the Central Park in California City. It’s a mere 160 miles from South County. Let’s do it what the hell? I can ride my DR 160 miles easy! 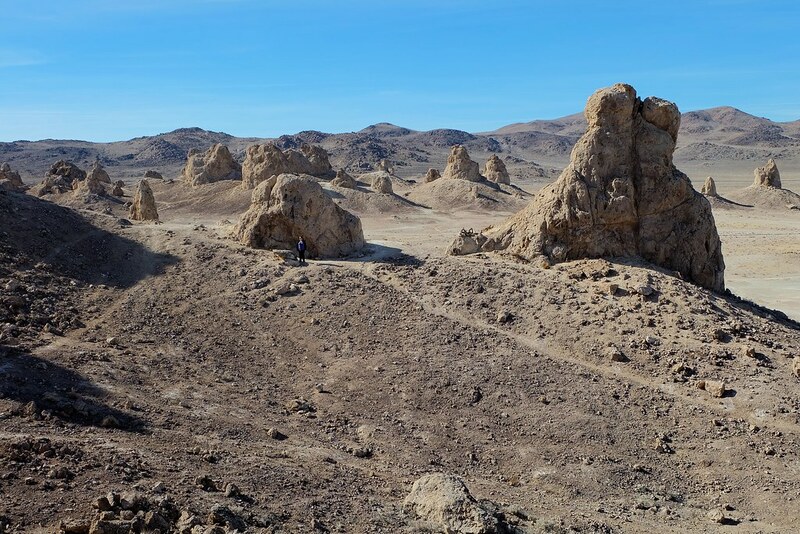 Trona pinnacles!!! Let's go there!!! That is a perfect example of what it is to have a dual sport and live in Orange County. 45 minutes will get you to the trailhead at Maple Springs but add another 30 minutes and you are past the Cajon Pass add another 30 minutes and you are at Trona. But yes I have also been to California City once and it was an excellent spot for new people because there's lots of flat long desert roads. There are some more technical spots up in the hills. Page created in 0.216 seconds with 57 queries.